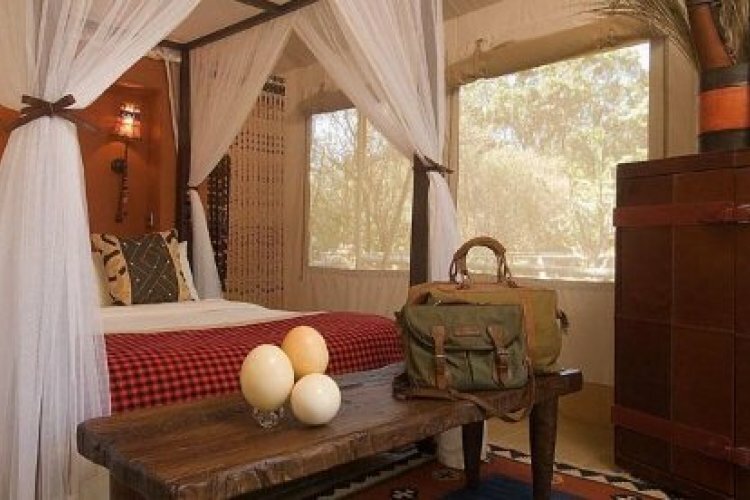 The Fairmont Mara Safari Club offers the ultimate luxury tented safari experience in a setting that is surrounded on three sides by the Mara River. 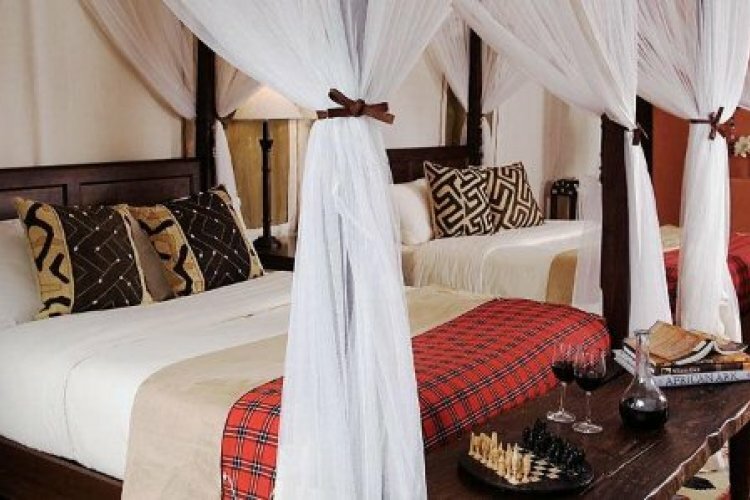 The exclusive 50 tents at the Fairmont Mara Safari Club are adorned with four poster beds and each has a veranda overlooking the crocodile and hippo filled Mara River. Three piece private bathrooms are attached to each tent of which a select few have outdoor showers and expanded decks for private dining. Outdoor dining is enhanced with the creation of a boma, a construction inspired by the traditional homesteads and guests may enjoy a cultural dinner that reflects the tastes of African cuisine whilst listening to a musical accompaniment. The Fairmont Mara Lodge houses an indoor restaurant serving European, African and Asian dishes, and a bar as well as a library with internet access allowing guests to share their safari experiences with relatives at home. The main lodge has extended decks overhanging the river and this leads to a swimming pool complete with its own bar and private message tents. 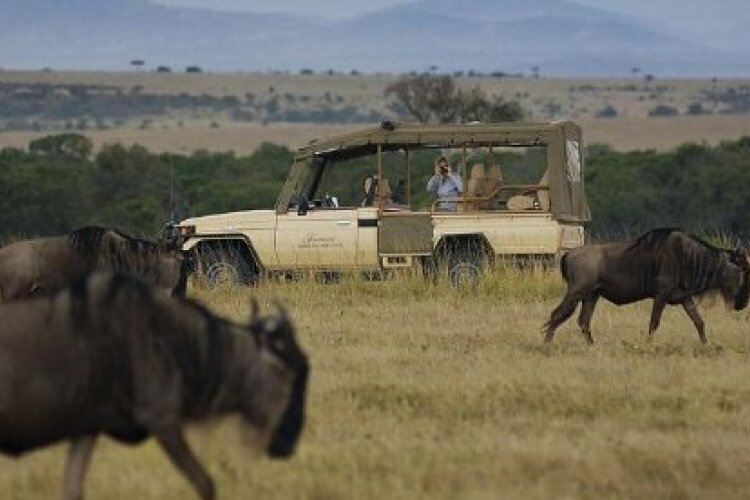 A wide range of activities are available to guests of the Fairmont Mara and these include balloon drives and game drives in a four-wheel-drive Land Cruiser over the Mara plains with a champagne breakfast on the savannah or trekking in the footprints of the hippo escorted by a Masai Moran. 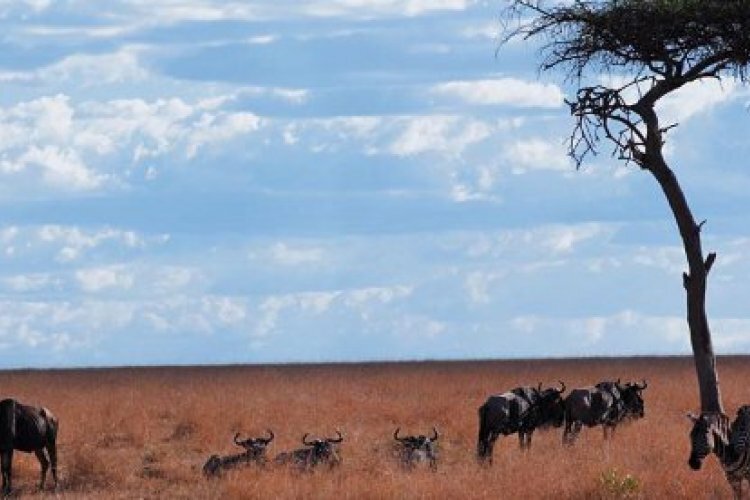 The Masai Mara is one of the world's most diverse wildlife reserves with zebras, wildebeests, gazelles, cheetahs and the "big five" calling it home. 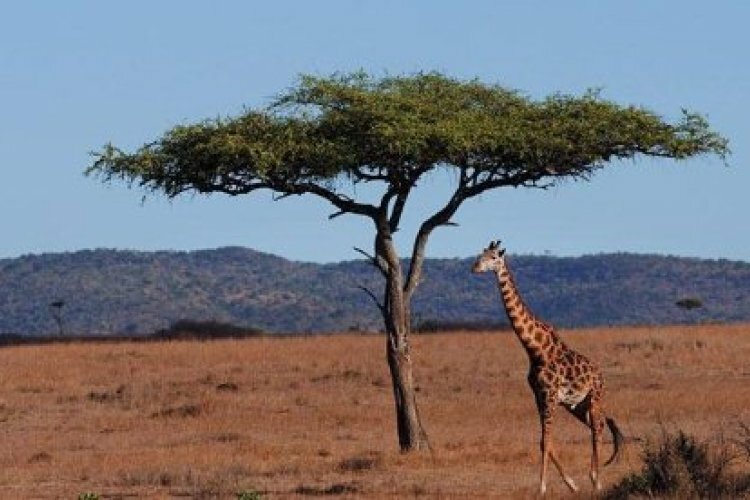 Further activities for the adventurous traveller include guided walking safaris with a full safari breakfast on the river bank and bird walks with specialist guides who can point out up to 70 species. A 40-minute flight will deliver guests to the second largest fresh water lake in the world and the source of the River Nile, Lake Victoria, for a fishing safari. Guests can enjoy the spectacular scenery, fish for Nile Perch that may weigh up to 200lbs and maybe catch a glimpse of the rare spotted-necked otter. Al fresco buffet lunches are to be enjoyed and nightly entertainment at the Fairmont Mara comprises of dancing, slide shows and talks on the Masai Mara's ecosystem. The Fairmont Hotel is family friendly but many couples choose this resort for special tailor-made and unique weddings. The Fairmont can arrange your wedding licence, flower arrangements and ceremony along with traditional dancers and choirs, open bar with hot & cold canapés and even a mock attack by local Masai during cocktails or bush dinner. Services at the Fairmont Mara Safari Club Hotel include a kids activity program with treasure hunts, drawing, special game drives, BMW biking and visits to the local community centres to learn authentic fire making skills and how to throw a spear like a Maasai warrior. A babysitting service is also available at the resort.